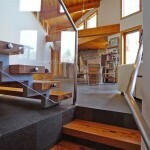 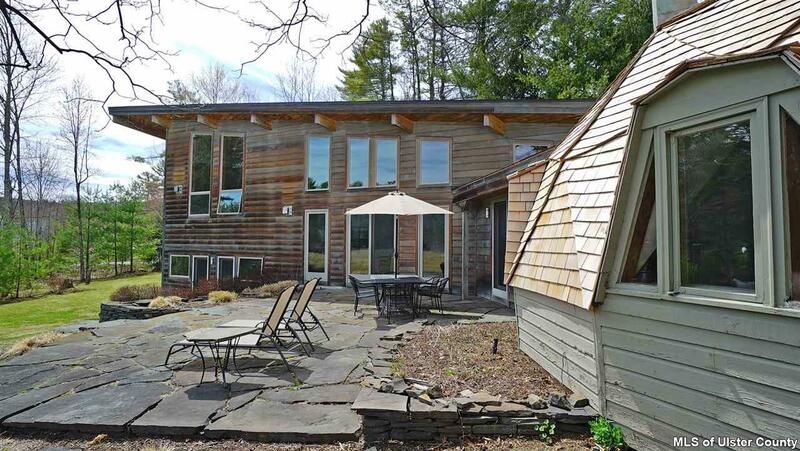 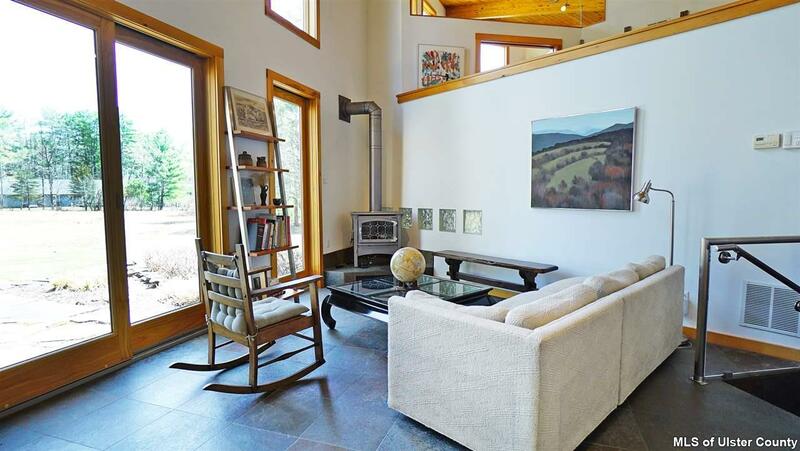 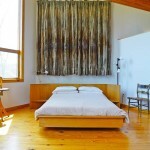 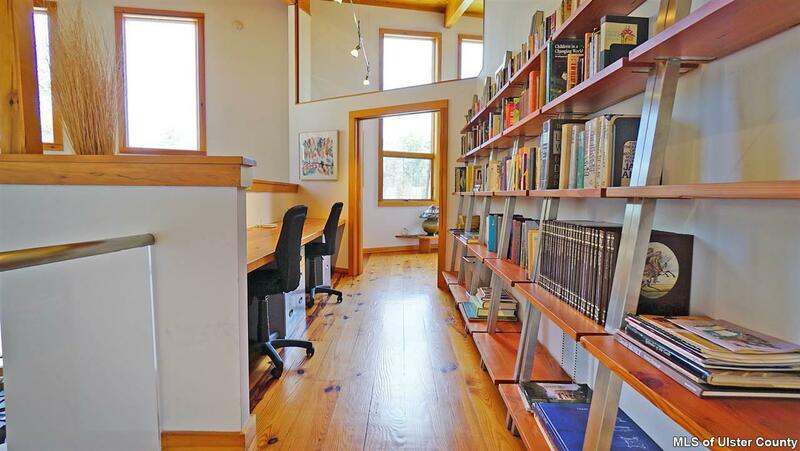 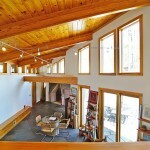 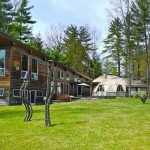 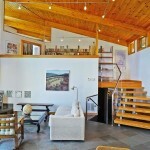 The house sits on 1.73 acres of forest, located about five minutes from Woodstock. 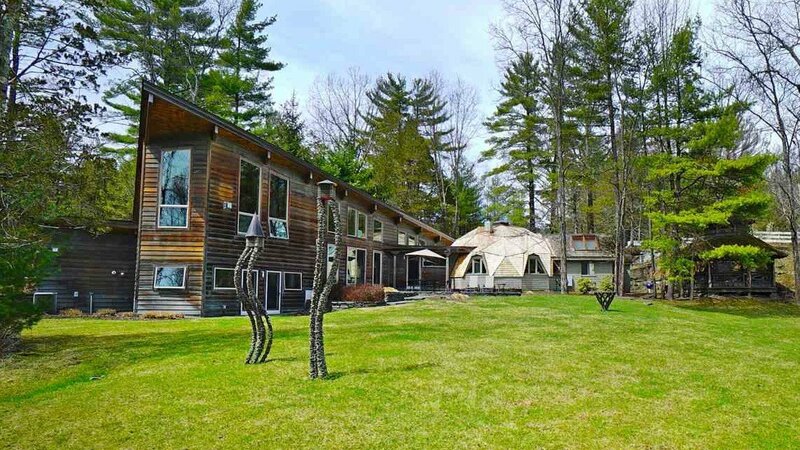 Even from the facade and the sculptures outside, you can tell that this is not an average upstate home. 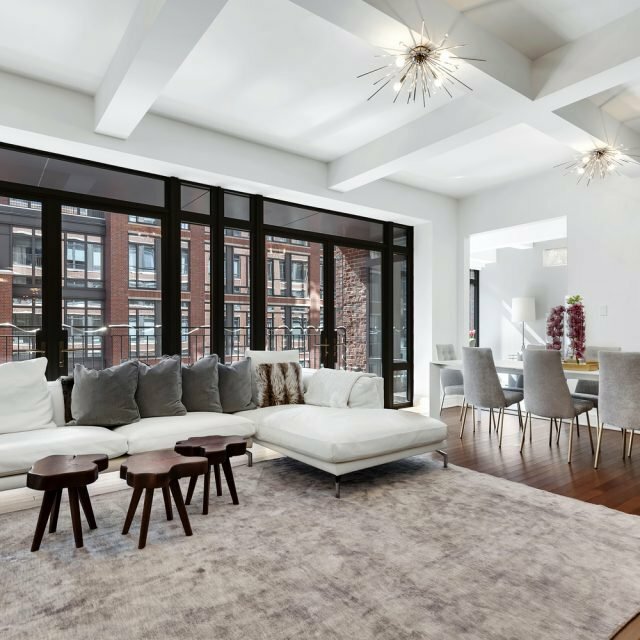 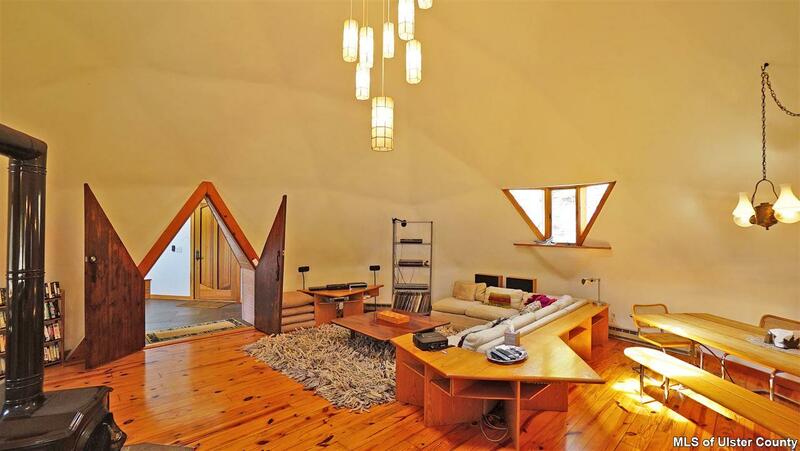 Much of the house has a modern aesthetic, including the soaring, contemporary great room. 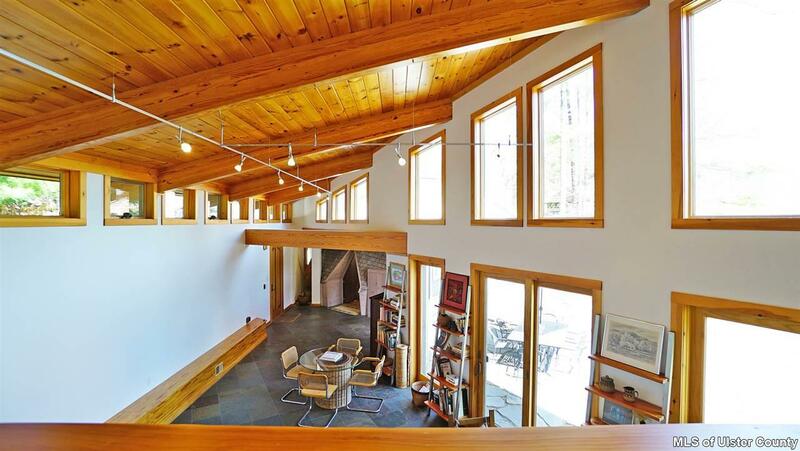 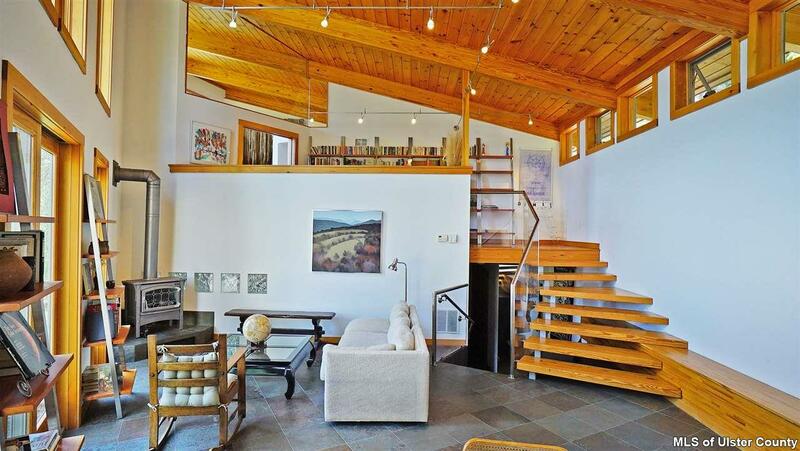 The double-height, wood-beamed ceilings make this space feel open and lofty — like a true mountain home. 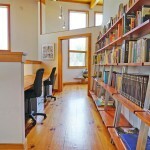 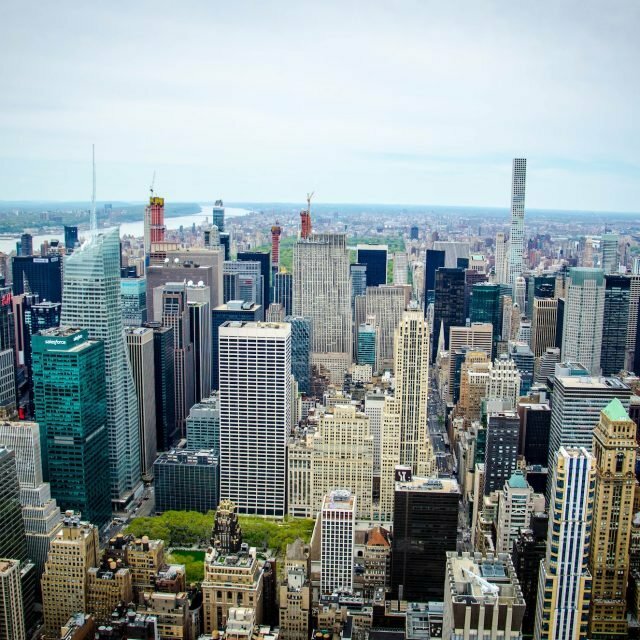 A look into the office and living room spaces, also in the modern wing of the home. 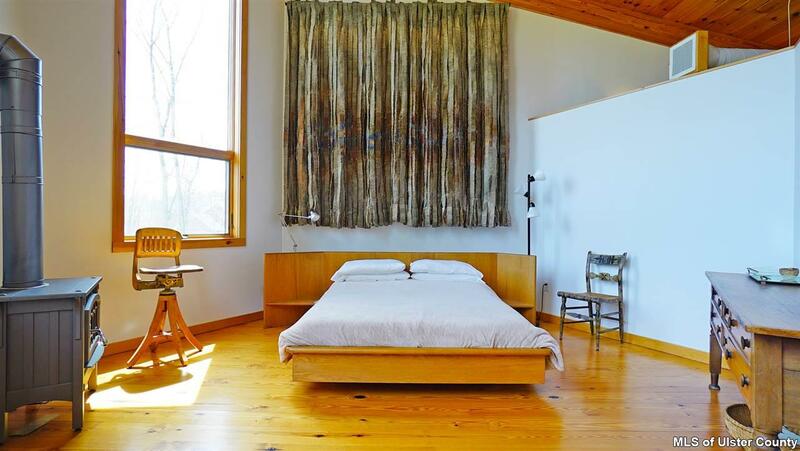 The master bedroom looks stunning, with those high ceilings and a window that looks out onto the surrounding forest. 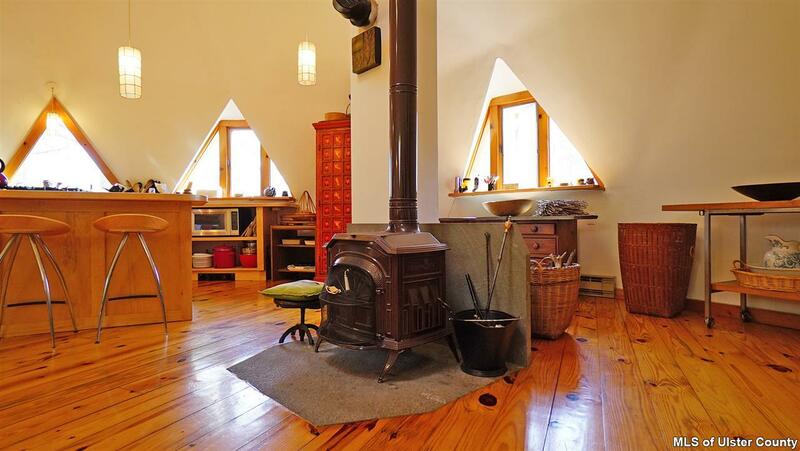 You’ve even got your own fireplace stove. 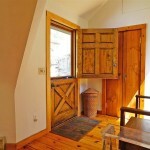 From the modern wing of the house, there is a geometric portal that will lead you into the property’s wilder side. 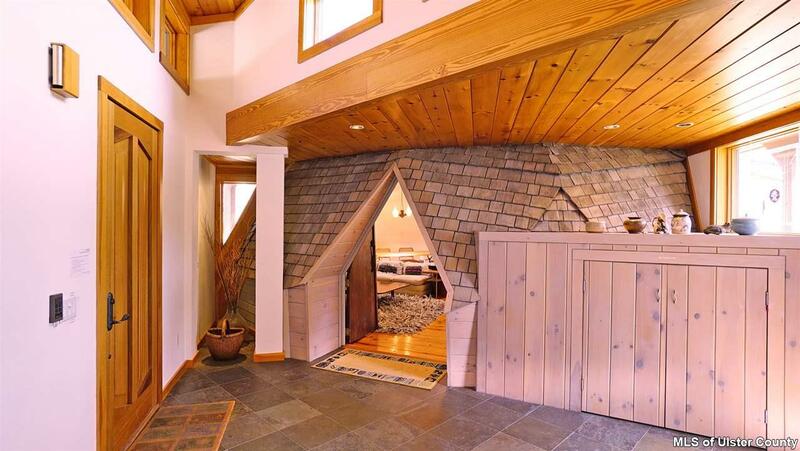 Appropriately, you have to walk through a triangle door to get there. 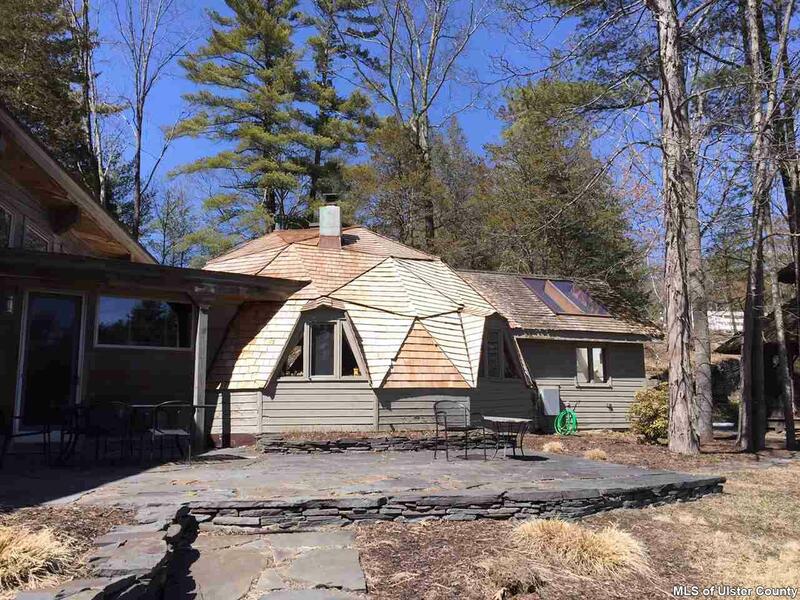 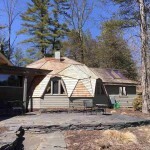 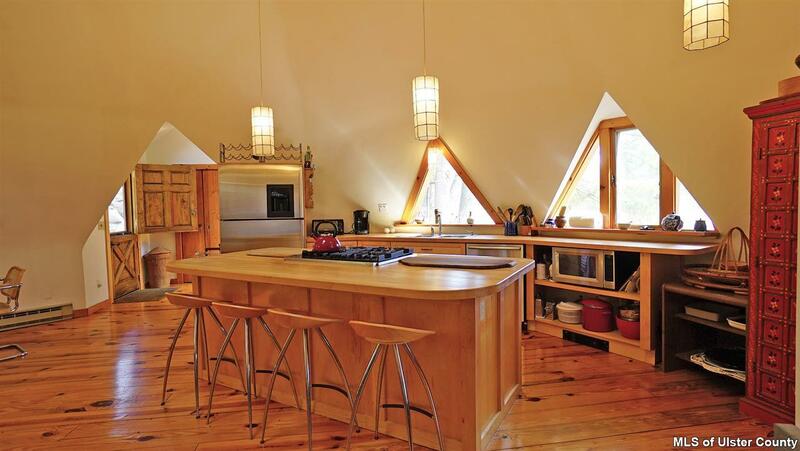 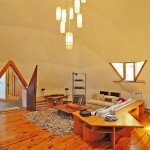 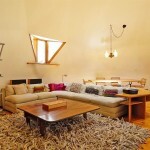 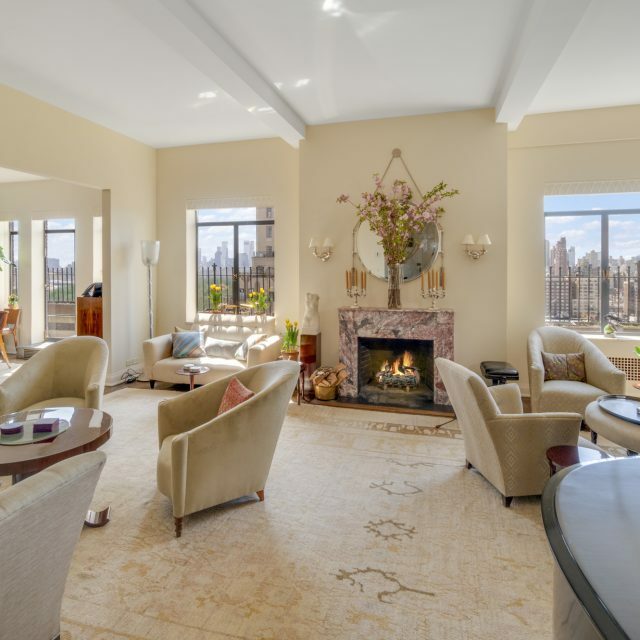 Inside this dome is the kitchen, dining area, and a custom-furnished living room. 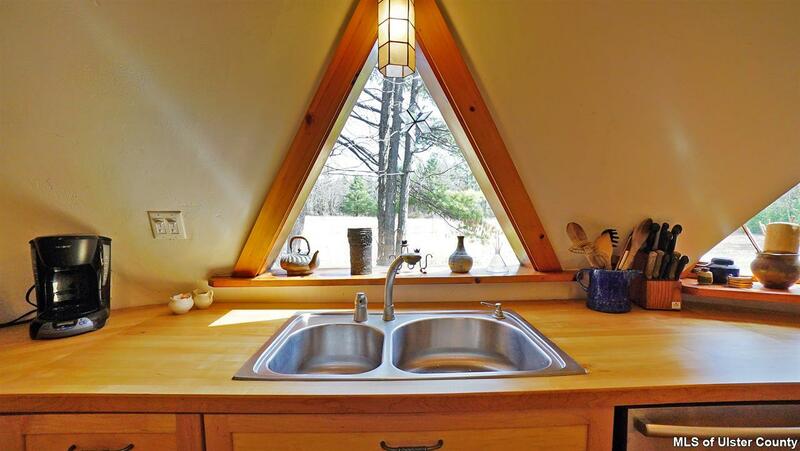 Oh, and lots of triangle windows. 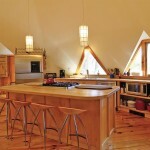 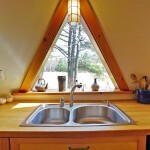 The kitchen is outfitted with custom lighting that hangs from the top of the dome. 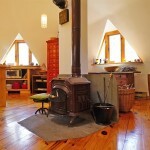 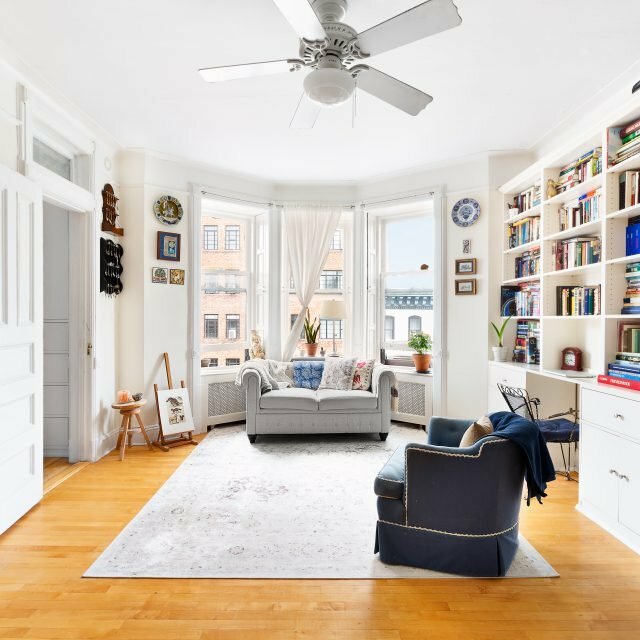 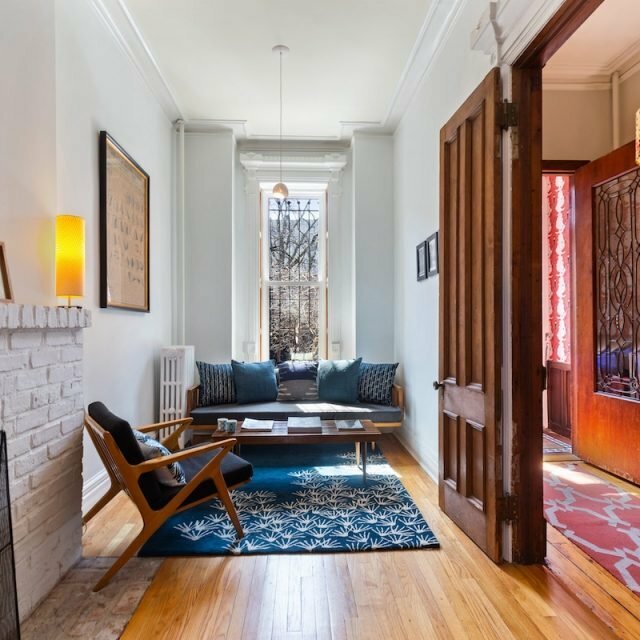 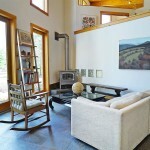 There’s plenty of modern appliances, as well as an old-school wood-burning stove, which are found throughout the house. 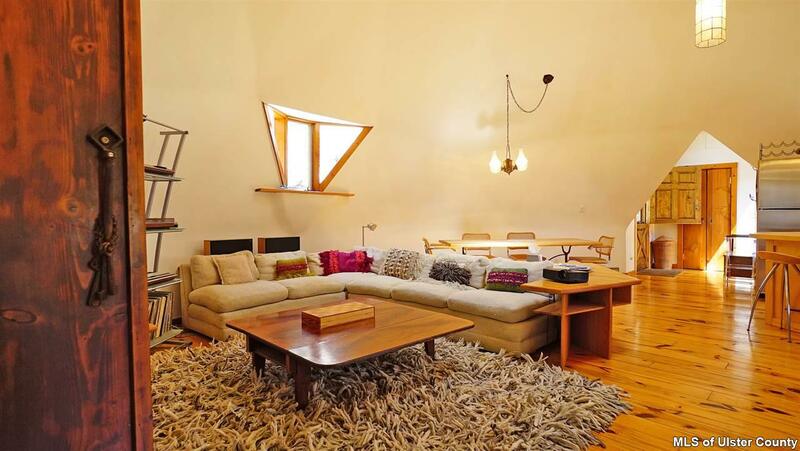 And the living room is just as kooky as the kitchen. 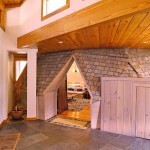 You can tell everything has been carefully designed to complement everything else, like the triangle doors, windows and entryways. 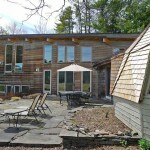 There is so much going on inside the house that it’s easy to forget the rest of the property is natural forest. 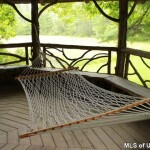 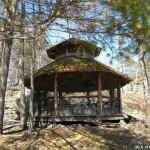 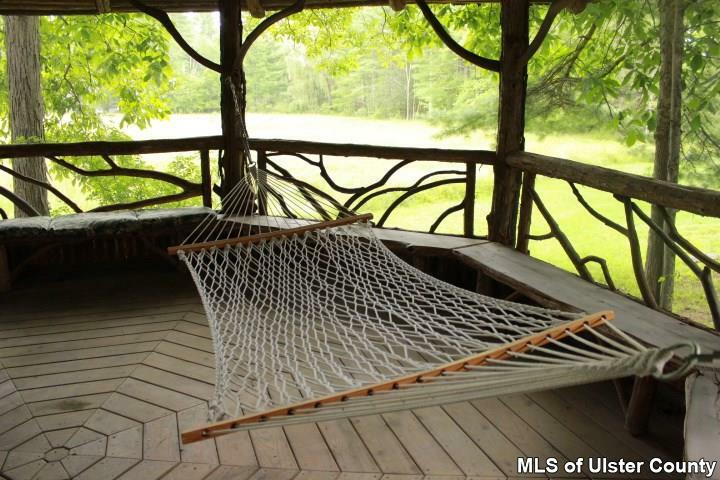 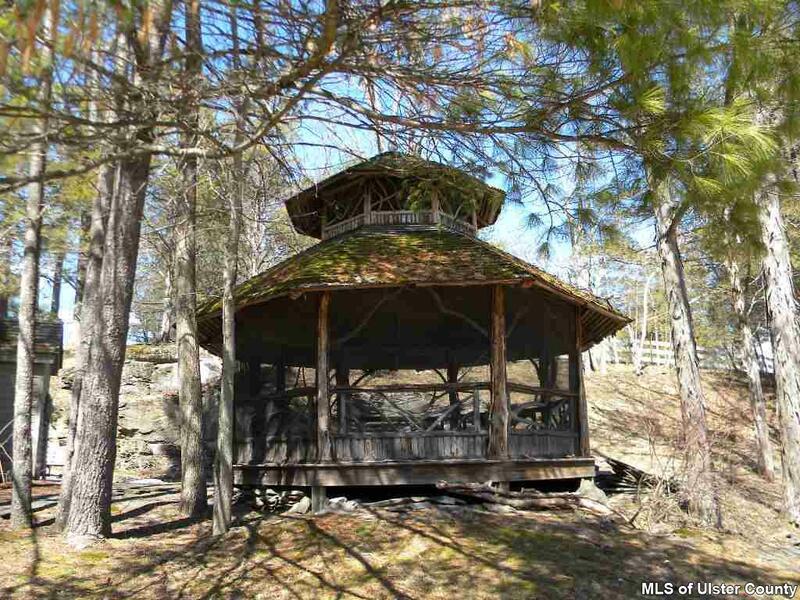 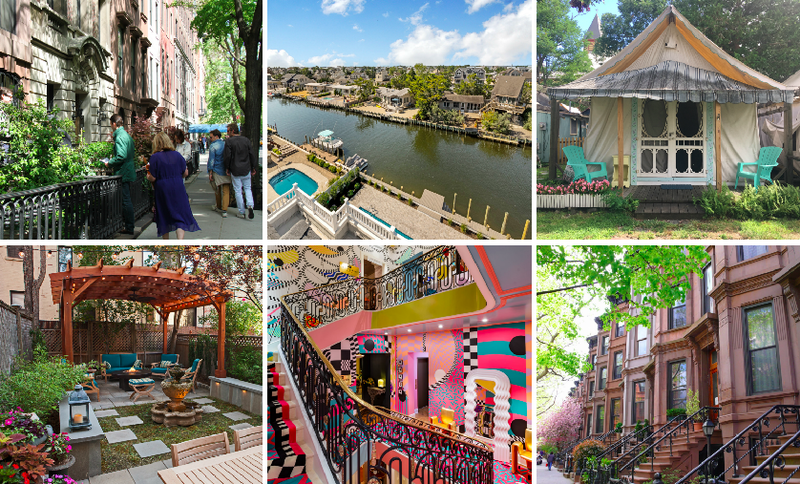 And what’s better than living up in the Catskills on all that land with your own gazebo and hammock?